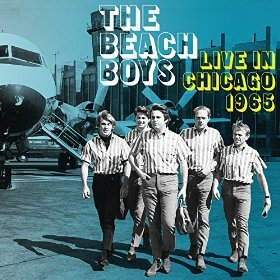 The Beach Boys have released two previously unissued live concert recordings as the digital download-only album Live in Chicago 1965. The release features two concerts recorded March 26 and 27, 1965, at the Arie Crown Theater along with rehearsal recordings of four tunes. The release is a way of protecting overseas copyright on previously unreleased recordings over 50 years old. By issuing the recordings themselves, the Beach Boys retain copyright over them. The release follows on similar copyright-prompted releases by the band over the past few years, along with releases by the Beatles, Bob Dylan and the Motown label.